I had gone before she met you. Had you studied French before you came to Casablanca? You had not studied French before you came to Casablanca. When do we use Past Perfect? The past perfect expresses the idea that an action occurred before another action in the past. It can also show that an action occurred before a specific time. إذا عندنا حدثين في الماضي لكن واحد يسبق الثاني وينتهي. I had never seen such a beautiful city before I went to Chefchaouen. Had she learned her lesson before she passed her exam? I had been waiting there for more than 1 hour when he finally called me. Had you been waiting there for more than 1 hour when he finally called you? When do we use past perfect continuous? We use the Past Perfect Continuous to show that something started in the past and continued up until another time in the past. 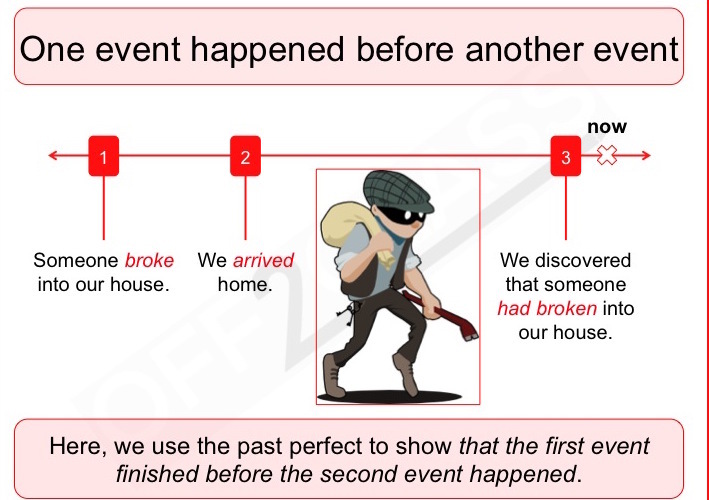 We often use the past perfect continuous when we want to underline the duration of an activity in the past. I had been waiting for him since four-thirty. Morroccan national team had been struggling more than 20 years before they finally made it to the Russian world cup. Daoud had been chatting on snapchat for more then 3 hours before Youssef came.